A history lesson on Breckenridge, Colorado teaches that success comes to those who follow their dreams. From gold miners to powder seekers, the once small base camp of Breckenridge has been a welcoming home to those who know how to make and take the most from the land and environment that surrounds them. Here is an early (pre-ski resort) historical account of Breckenridge. In 1859, the word spread that gold had been found around the Blue River and a base camp, eventually known as Breckenridge, was set up along this river. The Breckenridge Navy, a failed attempt to navigate a water route from the Rocky Mountains to the Pacific Ocean in 1869, made its way from Breckenridge to the Colorado River where the trip was cancelled. 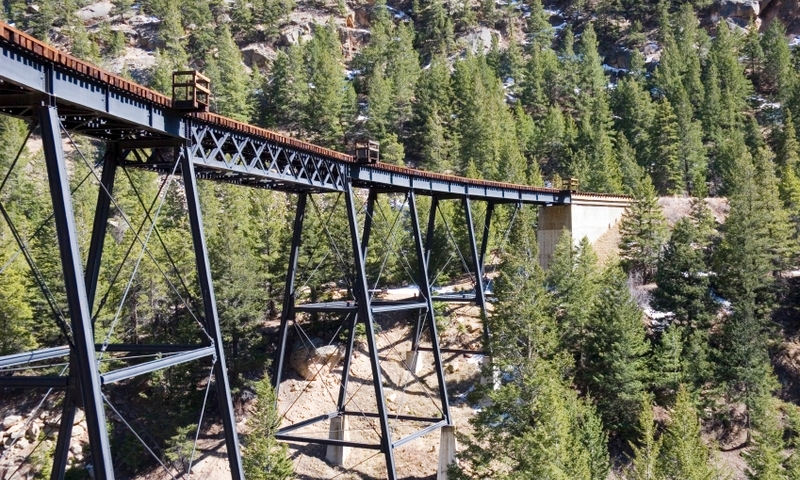 In 1882, the Railroad arrived in Breckenridge, climbing up and over what is today known as Boreas Pass Road. This same year brought fame to Breckenridge when a 13.5 pound gold nugget was found by local miners Tom Graves and Harry Lytton. In 1898, aka the "Big Snow Year", residents were forced to build tunnels through town to get to stores and their houses. Obviously, no trains arrived in Breckenridge that winter as it snowed every day from November through February. In 1909 gold mining funds built a K through 12 school, equipped with an indoor swimming pool. Today, the school is home to the Colorado Mountain College. 1942 brought an end to Dredge Boat mining as all metal was melted down during WWII. And in 1960, the town's population dropped to 393, creating fear in residents that their home would soon be considered a ghost town. In with the new, out with the old. As mining came to an end, ski enthusiasts began to realize the potential the surrounding mountains held. In July of 1961, a Kansas based lumber company was issued a permit to build a ski area in Breckenridge, ensuring the town's survival as the county seat. The ski area opened in December of the same year with one double lift and a T-bar. 17,000 visitors skied at the resort during the first year. Ten years later, visits were up to 221,000 and two more double chair lifts were installed. Ten years after that, the country's first high speed quad was installed. In 1984 Breckenridge Ski Area was the first Colorado resort to allow snowboarding and the following year the resort hosted the world's first Snowboarding World Cup. The ski resort merges with Vail Resorts in 1997 and celebrates being the most popular ski area in the country in 1999. Breckenridge, Colorado has gone through two key phases, the gold mining era and ski tourism. Visit Breckenridge and see for yourself how this town has developed over the years. A complete history of the Summit County area is provided by the Summit Historical Society. Learn about the development of Telluride Colorado, from mining town to resort destination.